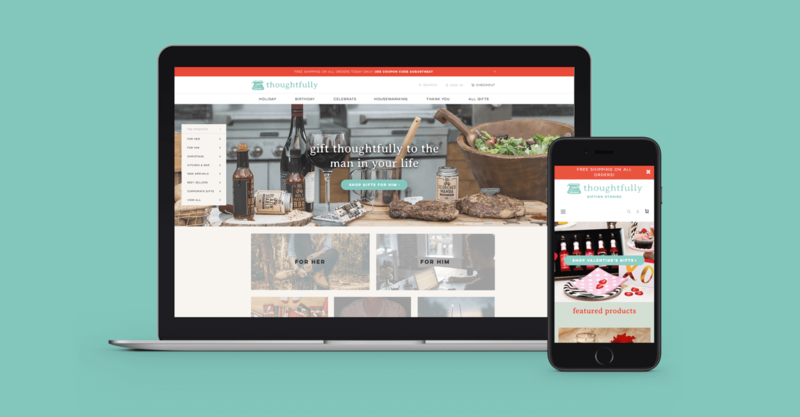 Thoughtfully, a new direct to consumer brand created by Modern Gourmet Foods, came to Gigasavvy to take over the build of a flailing eCommerce brand launch. 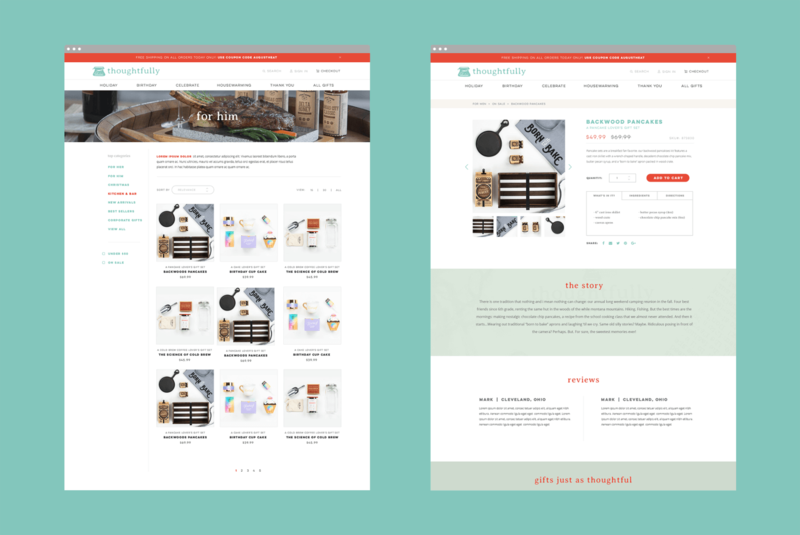 The project required a fully integrated eCommerce rebuild on the brand new Magento 2 platform, and a cross channel digital marketing strategy slated to bring in significant revenue during the holiday season. Considering it was already late August by the time we kicked the project off, it was always going to be an uphill battle to successfully launch the brand and drive sales. 144 blogger/influencer activations generating in over 7M in reach. 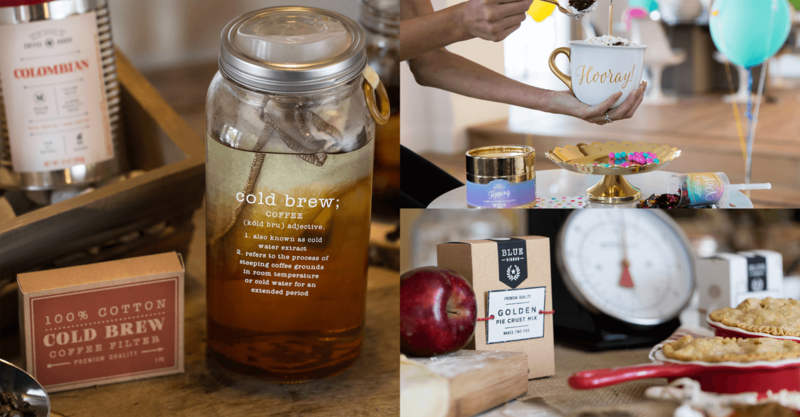 Launch a new brand with a fully integrated eCommerce website, on an untested platform, shoot the products in a way that showcased each one’s unique story, and devise a digital marketing strategy to drive six figure sales numbers in a crowded category (holiday gifts). This was going to be tough, but whether it’s right or wrong, the Gigasavvy team accepted the challenge as usual, and off we went! The key to this engagement’s success was entirely dependent on the timely launch of the website, but at the same time we couldn’t rush it. 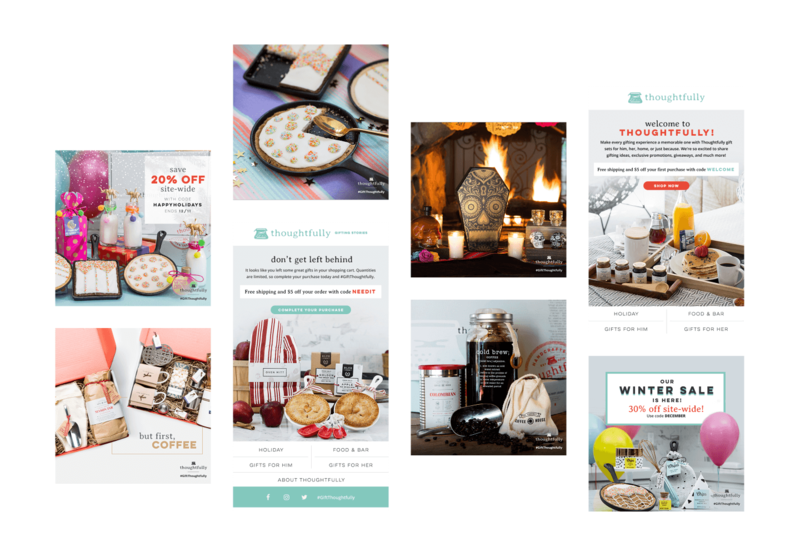 The site required full integration with their fulfillment center and an airtight shipping module to ensure timely delivery for holiday shoppers. While we didn’t hit our ideal launch date, we completed what would typically be a 4-6 month build in a little over 60 days, staged a detailed product and lifestyle photoshoot, launched a cross channel digital marketing and advertising campaign, and learned a whole lot along the way. We will be continuing our relationship with Thoughtfully into 2017, so stay tuned for more!